Do you want your Canoe at the water and ready to Launch? No lugging to and fro! 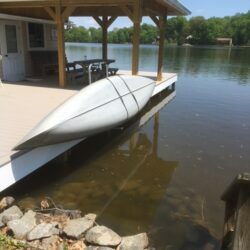 Purchase your Canoe Dock Lift and Storage Rack NOW! – It’s Neat, Convenient, and Affordable! – Save Valuable Dock space! – Lift directly from the water! 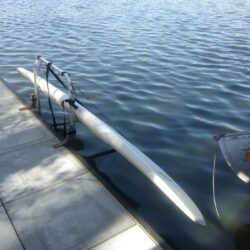 – Lift with a fraction of the Canoe weight! – 2 Mounts to choose from, Bolt-on or Clamp-on styles. 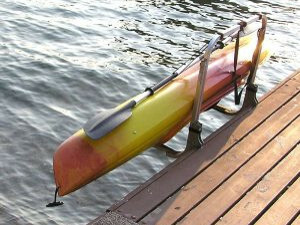 Canoe Lift & Dock Storage Racks are made from Marine Grade Aluminum!